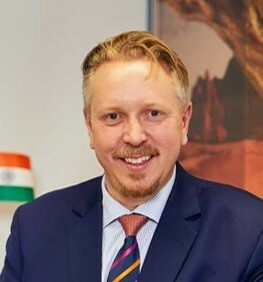 With effect from August 1, 2018, Oriflame has appointed Frederic Widell as the Vice President and Head of South Asia & Managing Director of India, succeeding Sergei Kanashin. Mr. Widell has had a highly successful career record with Oriflame for nearly 10 years in the past. His previous assignments included being Managing Director for four different key Oriflame markets; Sri Lanka, Vietnam, India and Indonesia; as well as being the VP & Head in the former Asia Pacific region.